In 1773 John Adams observed that one source of tension in the debate between England and the colonies could be traced to the different conceptions each side had of the terms "legally" and "constitutionally"--different conceptions that were, as Shannon Stimson here demonstrates, symptomatic of deeper jurisprudential, political, and even epistemological differences between the two governmental outlooks. 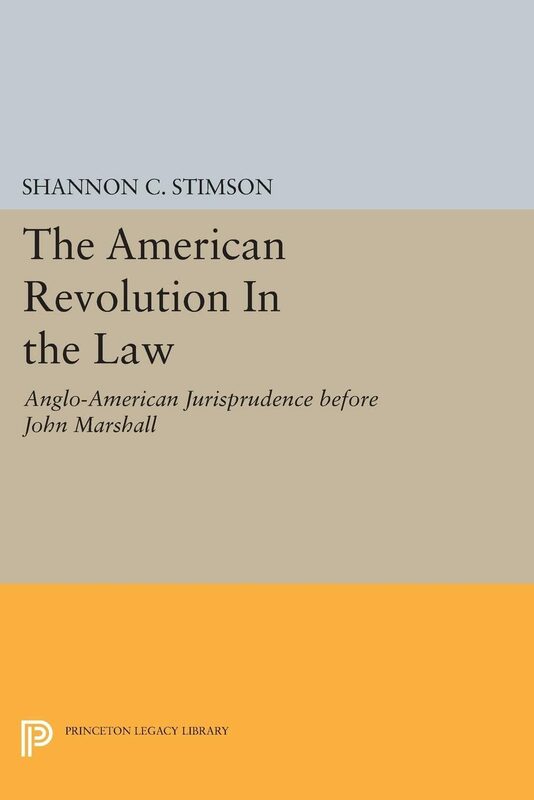 This study of the political and legal thought of the American revolution and founding period explores the differences between late eighteenth-century British and American perceptions of the judicial and jural power.In Stimson's book, which will interest both historians and theorists of law and politics, the study of colonial juries provides an incisive tool for organizing, interpreting, and evaluating various strands of American political theory, and for challenging the common assumption of a basic unity of vision of the roots of Anglo-American jurisprudence. The author introduces an original concept, that of "judicial space," to account for the development of the highly political role of the Supreme Court, a judicial body that has no clear counterpart in English jurisprudence.Originally published in 1990.The Princeton Legacy Library uses the latest print-on-demand technology to again make available previously out-of-print books from the distinguished backlist of Princeton University Press. These paperback editions preserve the original texts of these important books while presenting them in durable paperback editions. The goal of the Princeton Legacy Library is to vastly increase access to the rich scholarly heritage found in the thousands of books published by Princeton University Press since its founding in 1905. Otros ebooks de Shannon C. Stimson.